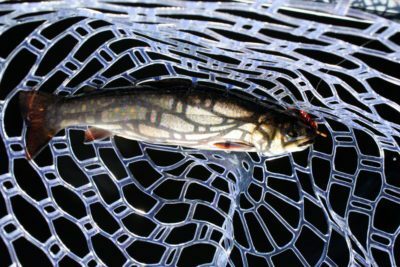 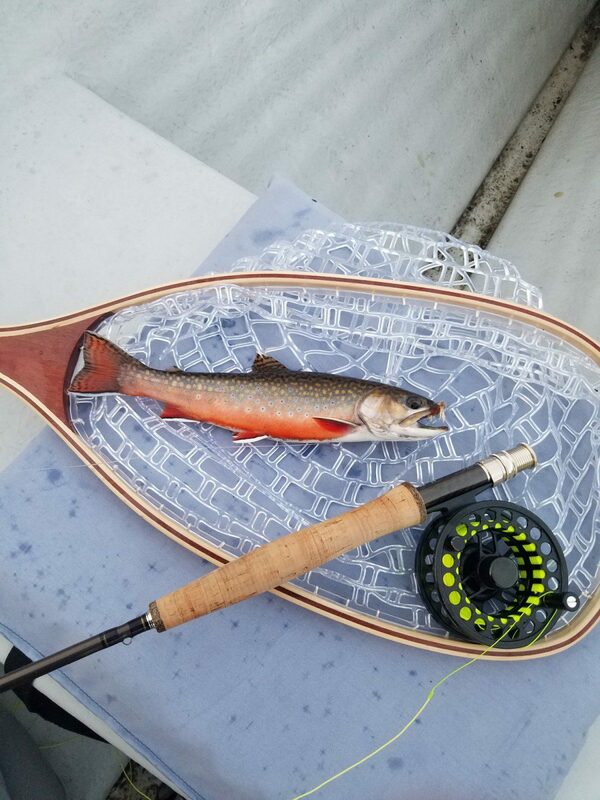 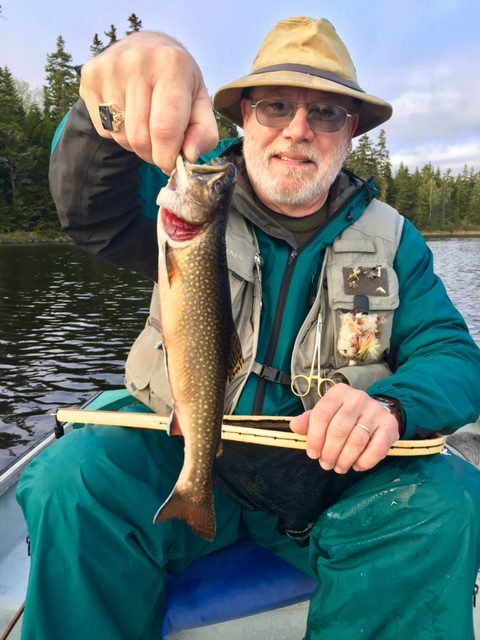 Thoughts of the working world are quickly forgotten when your line suddenly tightens with the strike of a beautiful native brook trout. Historic Tim Pond is a gated, controlled access area which assures uncrowded enjoyment of the facilities. 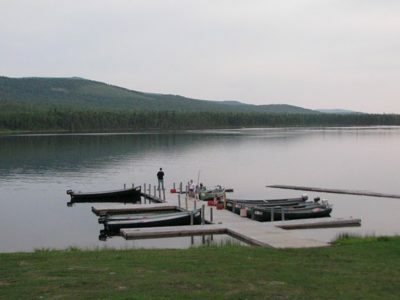 The camps are the only ones on the mile long pond. 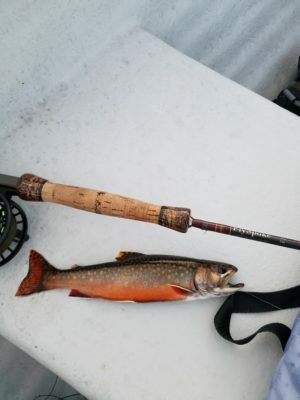 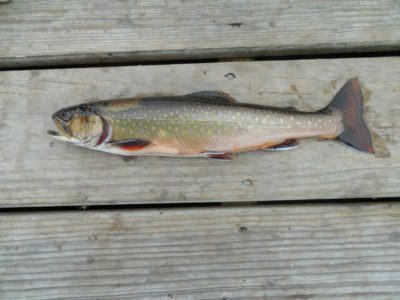 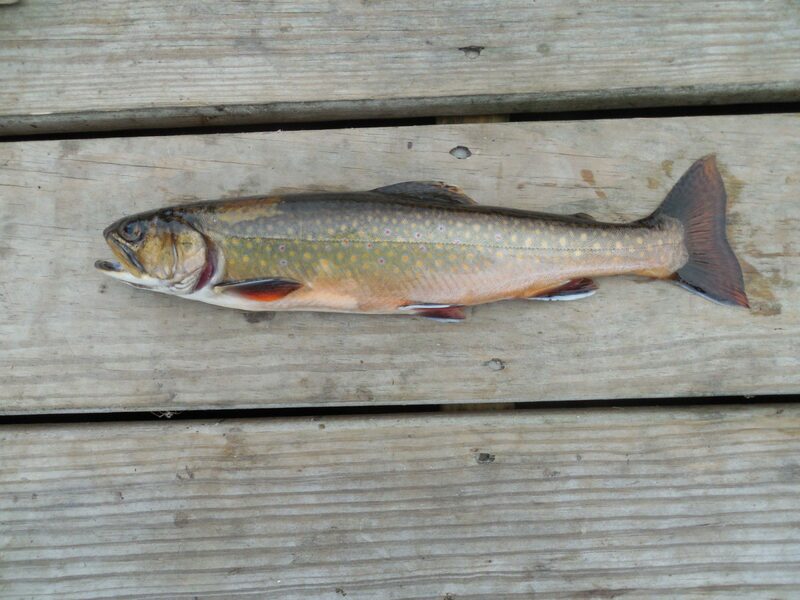 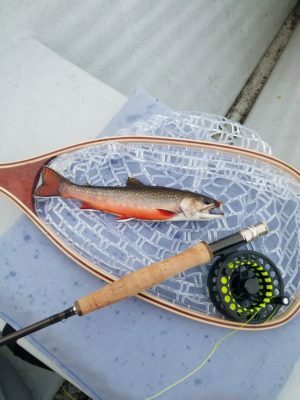 Fly fishing for native squaretail brook trout is steady and productive. 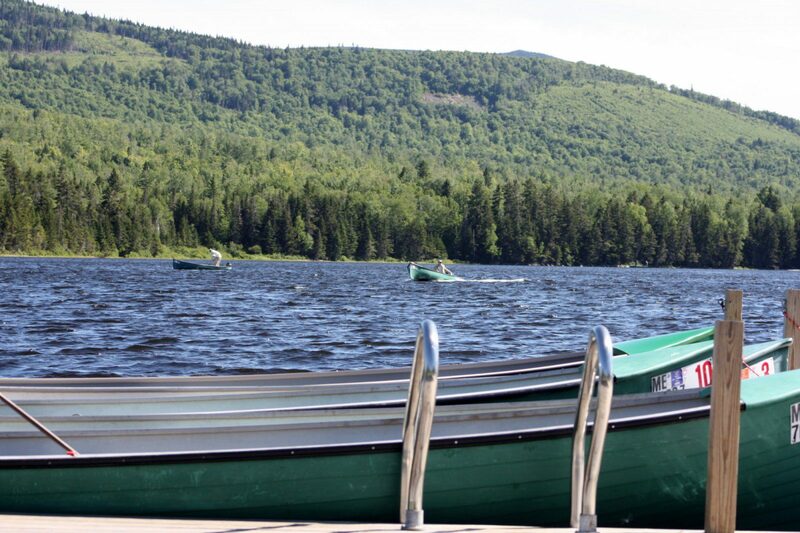 Tim Pond has never been stocked. Our boats are 17 foot Rangeley boats with 5hp motors. 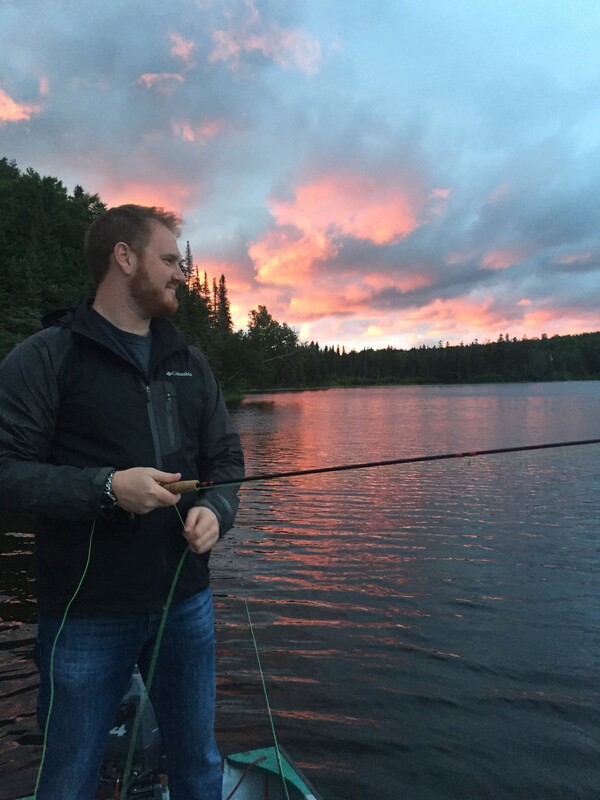 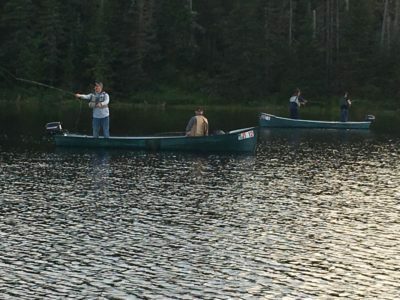 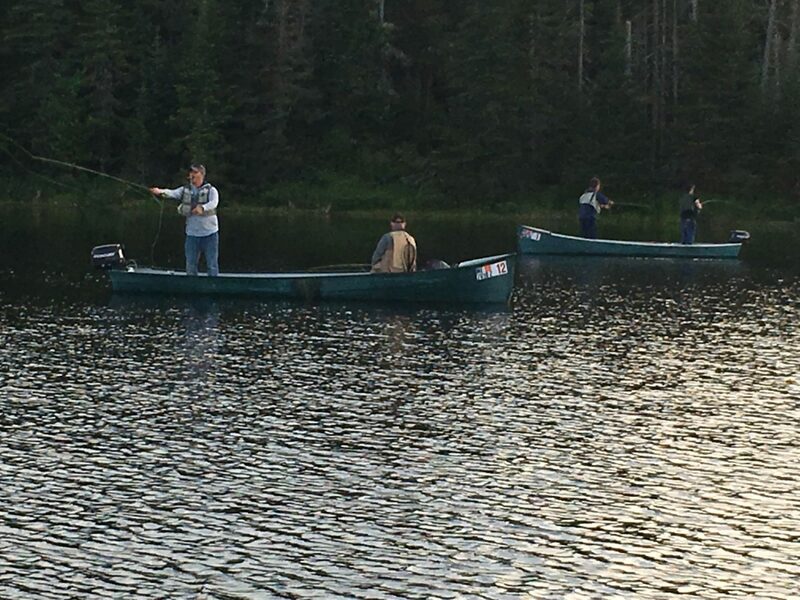 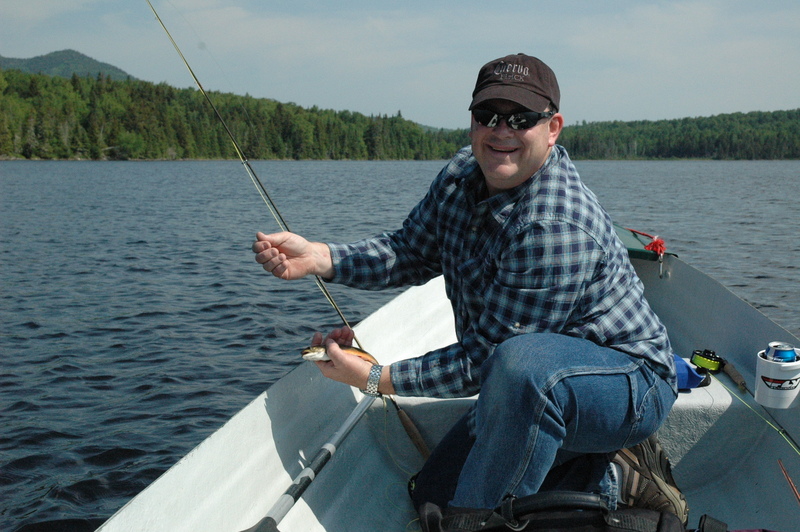 Our fishing season runs Memorial Weekend in May to the end of September. 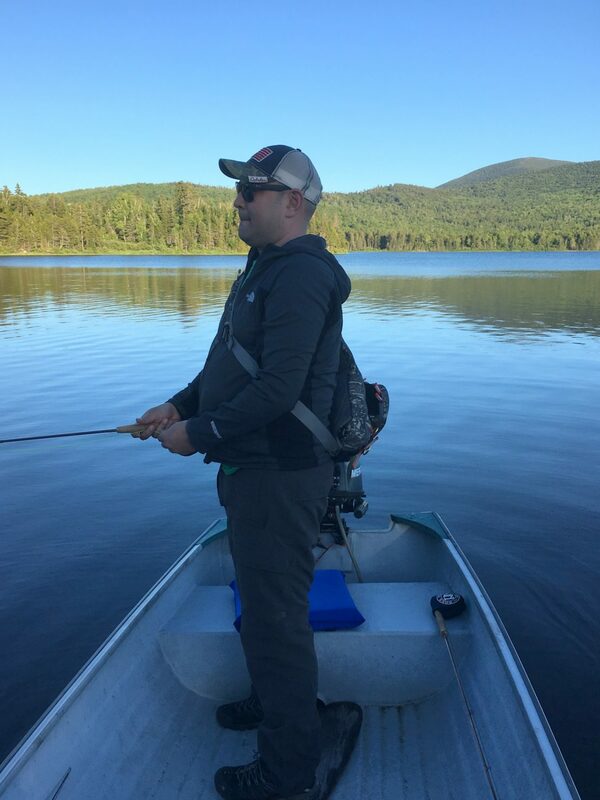 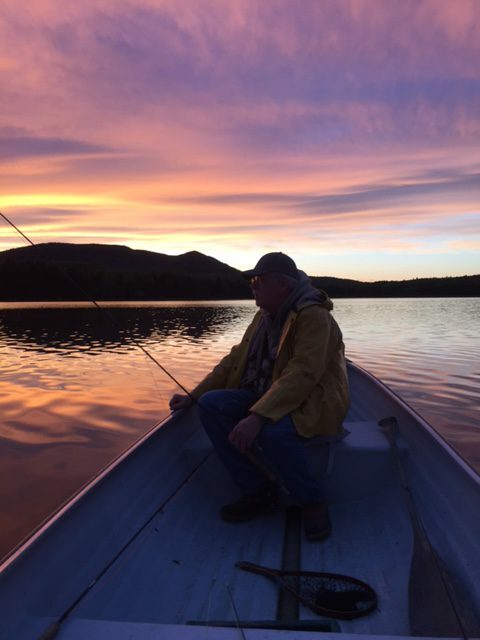 If you need to purchase a fishing license please do so on the Maine Government Website. 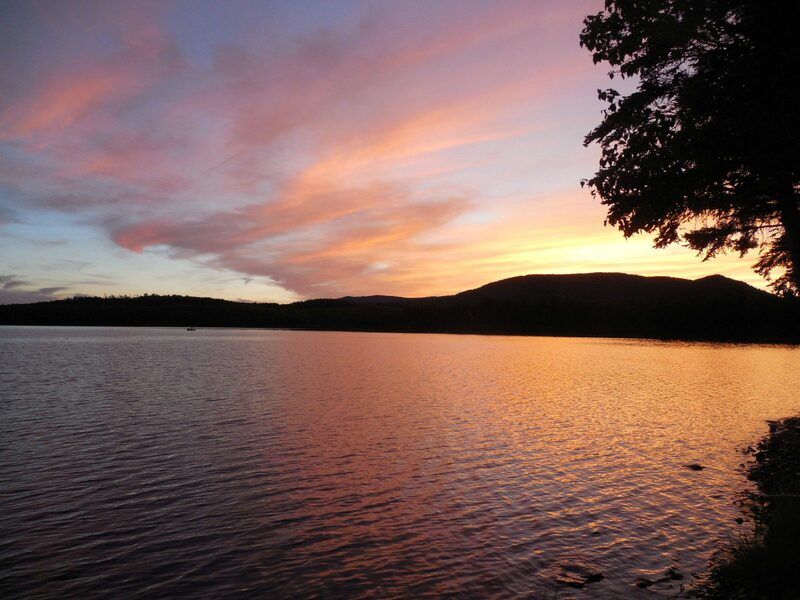 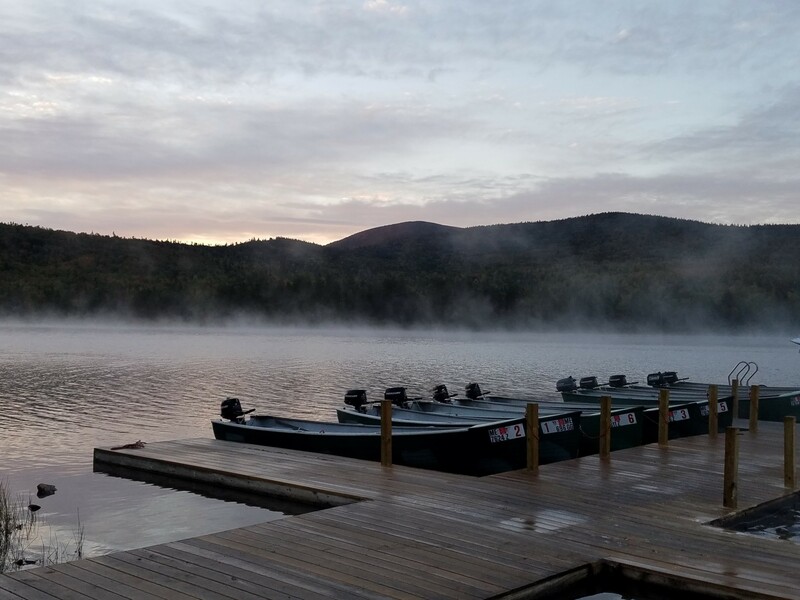 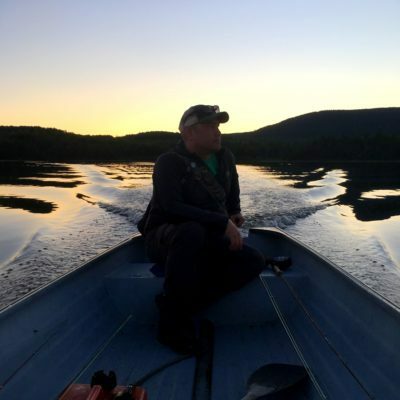 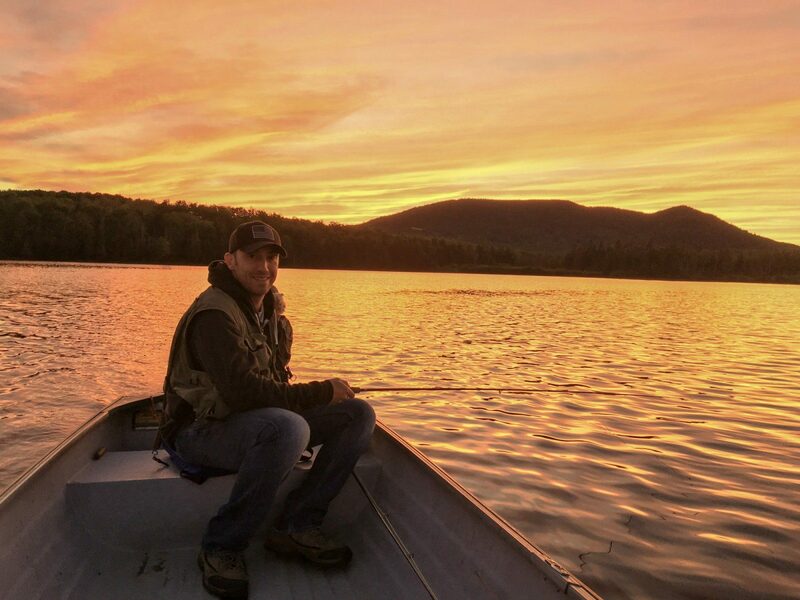 For those who are anxious to begin fly fishing or improve their skills, we offer a Fly Fishing School taught by award winning Maine Guide Bonnie Holding. 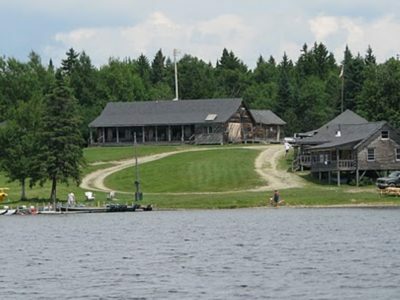 The school is offered once a year each summer. 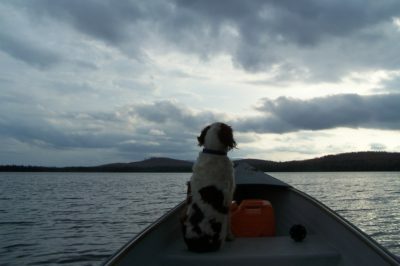 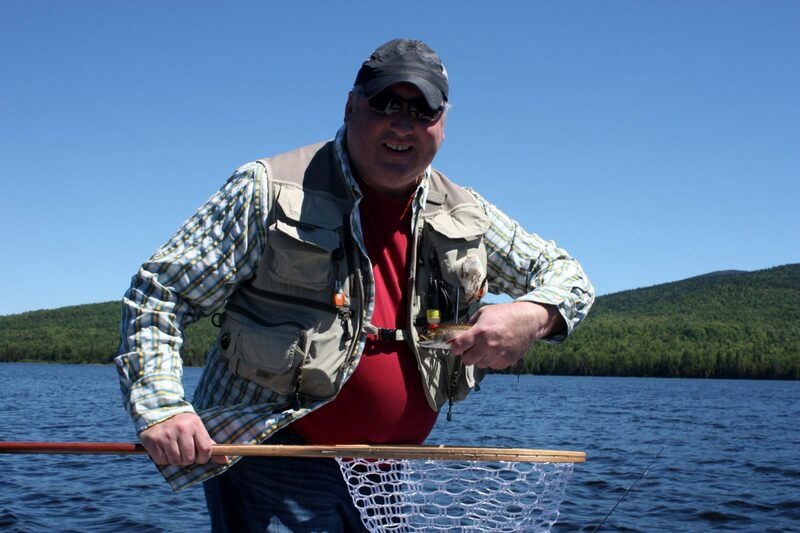 Bonnie is a registered Maine Guide and a skilled instructor who has been fly fishing for over 30 years. Our school will take you from casting skills, to identifying the best flies to choose, and even tying your own flies. Bonnie Holding has spent most of her life helping others enjoy the outdoors. 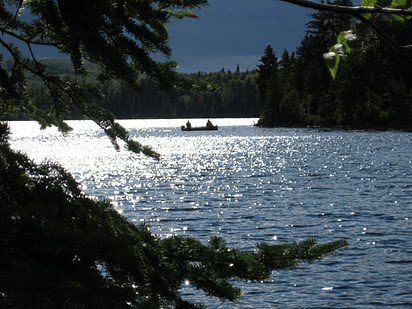 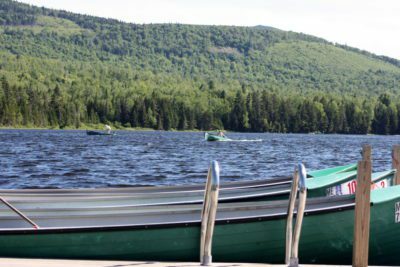 A Master Maine Guide in Stratton, Maine specializing in fly-fishing instruction for over 30 years, she was named one of North America’s top guides by Outdoor Life in 2005 and was named LL Bean’s 2010 Outdoor Hero. 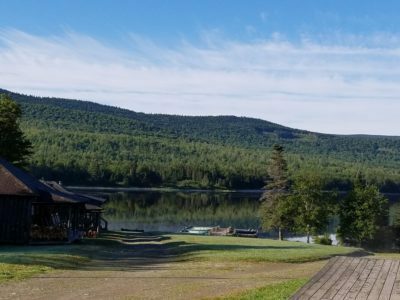 Not only does she do this she does volunteer work with Maine Special Olympics at their winter games and she is program coordinator for Casting for Recovery, a program for women with breast cancer.